If you suffer injury to your eye or have the symptoms of an infection, we’ll provide immediate care at Fox Chase Family Eye Care. Our experienced optometrist, Dr. Uri Schechter O.D., is qualified and highly competent in treating a range of eye emergencies. The most common reasons for urgent ocular care are irritation from a foreign substance, severe eye allergies, infections, such as pink eye, and foreign objects lodged in the eye. In the event that you experienced any of these problems, there’s no need to rush straight to the eye doctor in Philadelphia PA. Contact us in our Northeast Philadelphia office for guidance and the most cost-effective treatment. Our comfortable eye care clinic serving Jenkintown & Rockledge, is furnished with cutting-edge optometric technology and a highly skilled team. 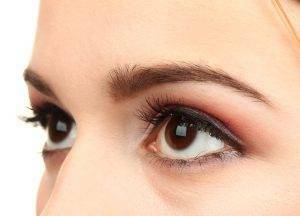 We’ll examine your eyes thoroughly to diagnose the problem and recommend the most effective treatment. If we diagnose allergies, pink eye or other infections, we’ll prescribe medication to help alleviate your irritating symptoms and resolve the condition. When a foreign substance has come into contact with your eye, we’ll help relieve the discomfort and prevent possible complications to your vision. Our professional eye doctor is also certified to expertly remove foreign objects that may be stuck in your eye. When something gets lodged in your eye, you’ll feel irritation that ranges from mild to severe, depending upon what the object is. Even a stray eyelash will cause discomfort. Mild irritations often resolve by themselves, with no intervention and no long-term complications. However, depending upon how the object entered your eye, treatment may be needed in order to prevent lasting vision problems. If a few hours pass and you still feel pain, contact us for assistance. If you suspect that the foreign body pierced the outer layer of your eye, immediate medical treatment is critical! It may be dangerous to wait, and rapid action can help prevent vision loss, premature cataracts and retinal damage. Immediately after your eye is exposed to a foreign body, blood vessels in your eye will dilate. Your eyelids, cornea and conjunctiva may become inflamed. If the offensive object isn’t removed quickly, your risk of infection rises. Eyes are extremely sensitive and delicate, and your persistent attempts to remove the object may cause further damage. Dr. Schechter will generally insert numbing eye drops before attempting to remove the object with specialized tools, especially when a simple eye rinse doesn’t do the job effectively. It’s critical to seek help from a trained eye care professional, visit our office in Northeast Philadelphia for assistance. Suffering from Glacoma? Check out our Glaucoma treatment page!